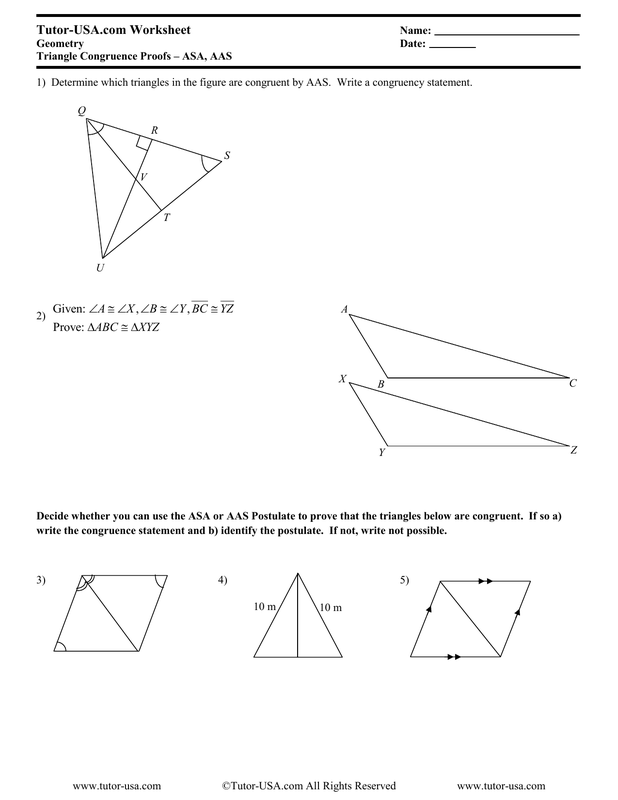 1) Determine which triangles in the figure are congruent by AAS. Write a congruency statement. write the congruence statement and b) identify the postulate. If not, write not possible. Write a two Column Proof. Write a Two Column Proof or Paragraph Proof.